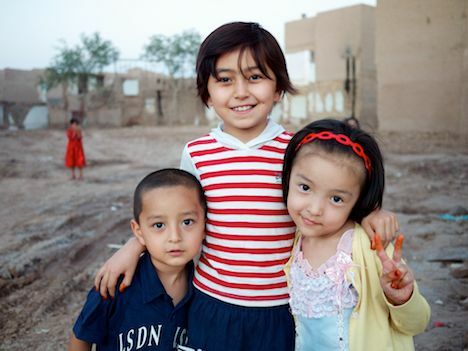 Kashgar, in China’s remote far-west Xinjiang province, lies on a fertile crescent at the convergence of ancient caravan routes linking India, Central Asia and China. For over a millenium, this fabled city was a crucial link in the Silk Route economy, and its culture thrived. 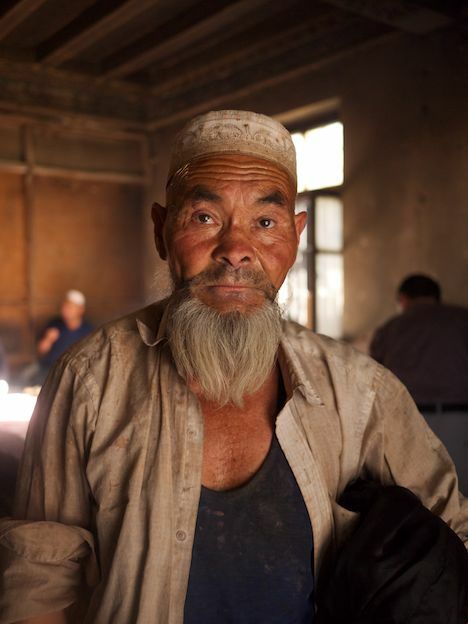 I finally managed to visit Kashgar in late July 2010, and stayed for over a week, walking through practically every alley I could find, documenting the the old town’s transformation and photographing its people. The photos I took are up on Flickr, but a project like this is made to be published on Google Earth, so I georeferenced the photos using GPS. I also mapped the demolished areas as I walked through them. The resulting files — georeferenced photos, GPS tracks and a superimposed map — can be downloaded as a KMZ file for Google Earth. 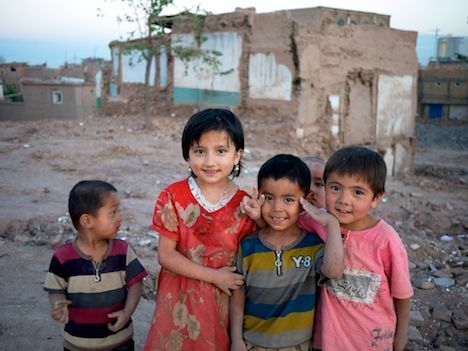 This is a documentary snapshot of Kashgar circa August 1, 2010. What did I find? I can report that almost half of the remaining old town has been razed, and much of the rest is set to go. Most of the buildings facing the old town’s main streets have been preserved, but the areas behind them are being hollowed out. Many alleys now end in wide-open spaces, empty save for the occasional denuded hold-out home whose exterior walls show the interior decorations of vanished neighbors. 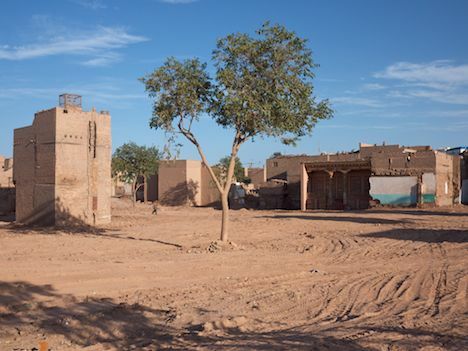 Here and there, a lone tree marks the spot of a demolished courtyard. Children have colonized these open spaces as a massive romping ground, for now. I have learned from living in Shanghai and now Beijing that Chinese authorities — and to a certain extent mainstream Chinese culture — do not attach much importance to protecting traditional vernacular architecture. Imperial palaces and grand religious temples are worthy of preservation or even reconstruction, but not on the whole the hutong of Beijing or the lane houses of Shanghai, which are deemed too ordinary, especially when there is money to made building high-rises in their stead. In Europe, by contrast, entire towns can remain unmolested, from Óbidos to San Gimignano to Visby. The West’s record is not unblemished, of course: In New York City, Robert Moses was able to do some damage before he found his match in Jane Jacobs, whose 1961 book The Death and Life of Great American Cities redefined how we view and value lower-income urban communities. In Europe, wars did far more damage than Moses ever could, but even there the destruction set in place a process of valuing what was lost, with towns like Ypres and Dresden choosing to meticulously reconstruct their destroyed cores. Moses might also have had a go at Kashgar, so we Westerners shouldn’t feel too smug; as recently as 1961, when Jane Jacobs’s book was educating us, the Chinese had far more pressing concerns, namely avoiding being among the 35 million who perished through famine in Mao’s Great Leap Forward. 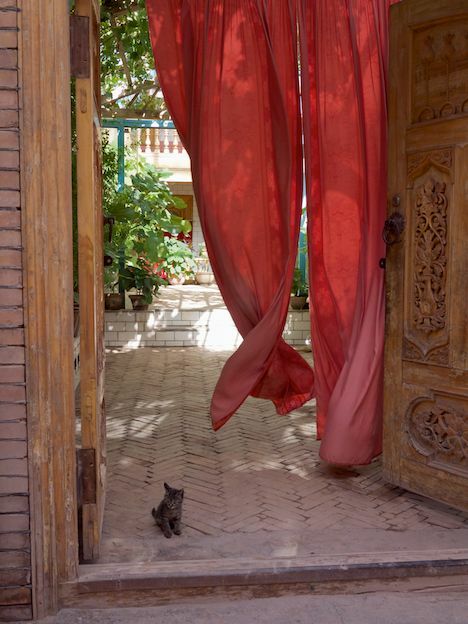 As anyone who has been to Kashgar can attest, the alleys do not divulge much by way of opulence. 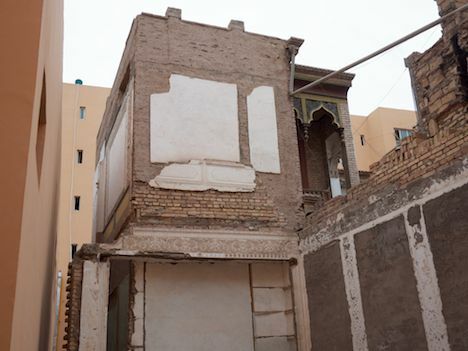 The public-facing walls of the old town’s homes are bare — made of mud- or baked yellow brick rising 2-3 stories. A wooden door, if open, reveals a curtain preserving the privacy of a shady courtyard inside. 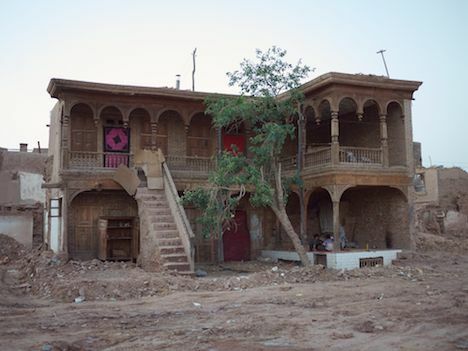 The exteriors are not beautiful in an aesthetic sense, though that is not where the effort lies; it’s on the inside that these homes reveal their real wealth, through the ornate woodwork on covered verandas and the intricate stucco interiors. 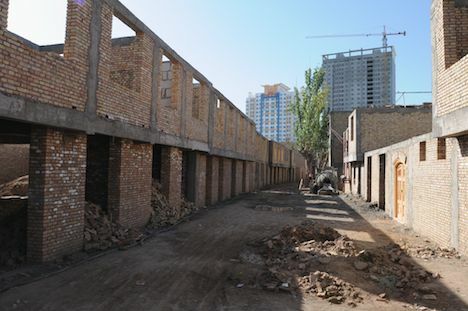 As old Kashgar is dismantled, the remaining homes are losing their shared exterior walls, affording just for a brief moment a view into their covered courtyards. It’s a swan song, however; soon enough these homes too will disappear, once compensation is agreed to. How are these empty spaces being refilled? It is already possible to discern a two-pronged strategy. Encroaching on the perimeter of the old town, contiguous to main roads or previously built modern construction, 4-6 story medium-rise residential buildings are sprouting. Meanwhile, in the interior of the old town, work crews are constructing 2-3 story reinforced concrete frameworks, at roughly the same scale as the structures they replace. In at least a few cases, I saw new owners filling in the walls themselves with bricks recovered from their old homes. The new construction I’ve seen differs from the old in three ways: It does not in the main conform to the traditional layout of a central covered courtyard; the new alleys are wider, allowing vehicle access; and because they are wider, there is little opportunity to expand homes by building across alleys, as was often done with the old homes. Work is progressing rapidly. The most recent imagery in Google Earth right now, dated October 26, 2009, shows just the beginning phases of the demolition. When a section has been demolished, crews start prepping the ground for new construction while the next section is cleared. 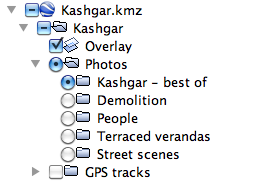 The razing and rebuilding of Kashgar is thus happening concurrently. At this pace, it looks to me like they can get all of it done by mid-2012. 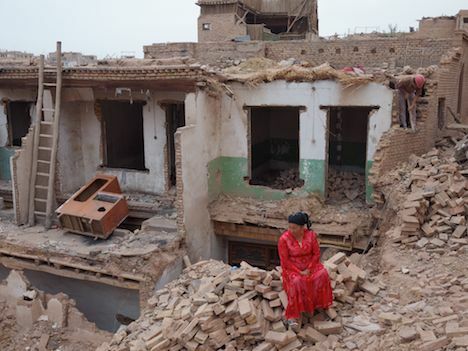 One reason given to journalists for the demolition is that the whole region is earthquake-prone, and thus the only way to preëmptively save Kashgari lives is to destroy their unsafe homes. I mooted that explanation to a local Uyghur guide, who scoffed at it, pointing out that these buildings have survived for centuries. More likely, I think, is that Chinese bureaucrats surveying old Kashgar saw only embarrassing poverty, and unilaterally decided to drag it into the 21st century. 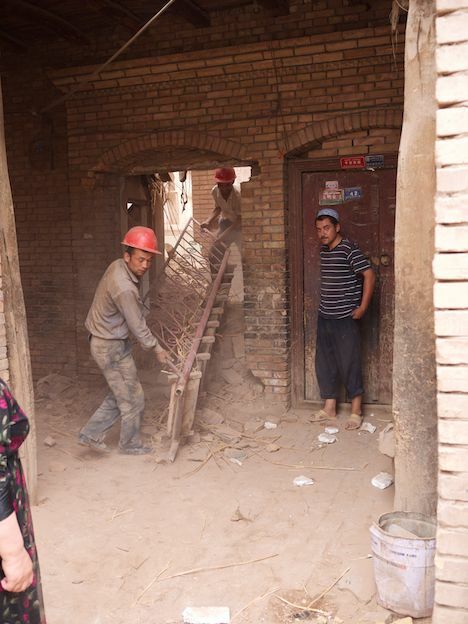 These officials may never have been inside a meticulously decorated Uyghur courtyard home, or perhaps they visited a few but did not care much for them. The prospect of handing out building contracts could also have helped the decision to demolish. 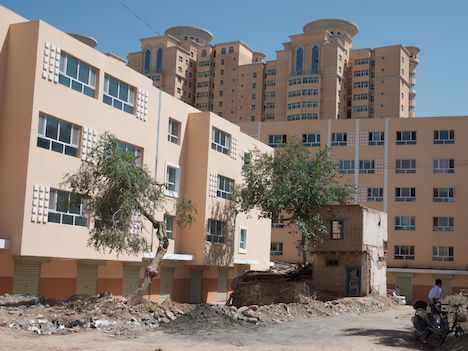 But even if I were convinced of the need for a Kashgar makeover, why does it need to happen so quickly? Why not gradually renovate over a 10-15 year period, one neighborhood at a time, replacing just the most precarious structures and bringing modern amenities to the rest? To make a forestry analogy, why clearcut when you could fell selectively, removing just the dead wood, preserving the special character of an old-growth forest? Why hasn’t tourism been a better incentive for preservation? 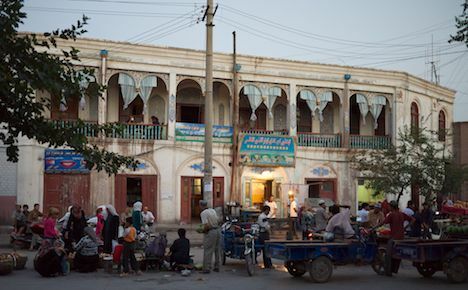 You do see the occasional westerner exploring the town, but the overwhelming majority of tourists in Kashgar are affluent visitors from within China, and they uniformly travel in bussed tour groups, deposited at various locales where they are led to photogenic spots by guides bearing portable loudspeakers. 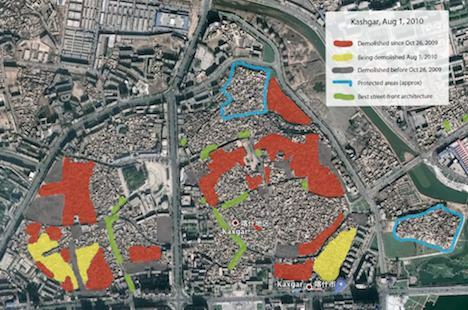 Among these destinations are the two officially protected parts of the old town, the 15% where bulldozers won’t tread. These neighborhoods have been turned into open-air museums, with an entrance fee (RMB 30, USD 4.40) that entitles access to various courtyard homes and souvenir shops. I suspect that the Chinese authorities think these two areas should suffice for the majority of tourists. Depressingly, they may be right. But tourism alone shouldn’t motivate preservation. 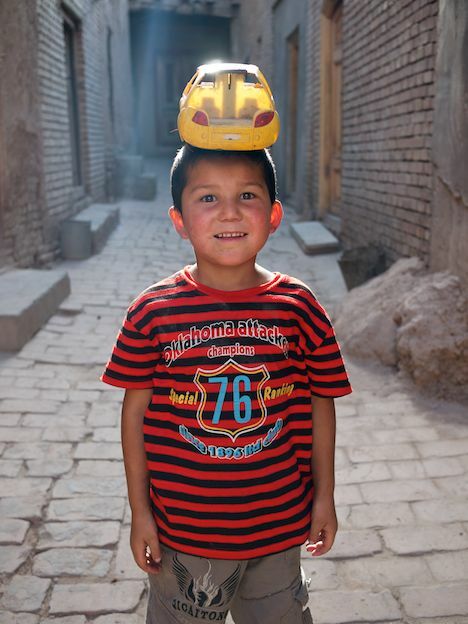 Traditional urban geography anchors local culture through the unique social interactions it facilitates; Kashgar’s alleys, with their many small mosques and nearby teahouses, foster micro-neighborhoods safe enough for bare-bottomed toddlers to play unsupervised. Preserving a token part of the old town for touristic purposes is of no value to the ex-residents who have lost their own particular neighborhood. 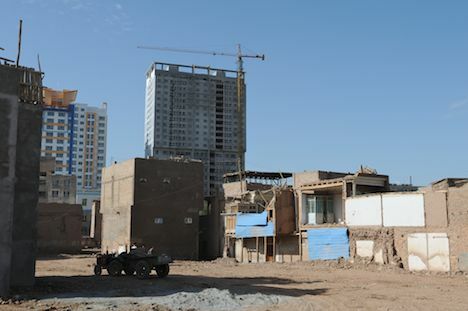 Will old Kashgar’s urban culture survive the wholesale uprooting of its building stock? A number of residents are opting to spend their compensation on apartments in new high-rises at the edge of the city, which promise decent plumbing and insulation — as did one guide I talked to. (I too like my amenities, so I cannot blame them). Perhaps the new 2-3 story buildings at the center of the old town will be similar enough in scale and function that they can simulate the old urban geography. 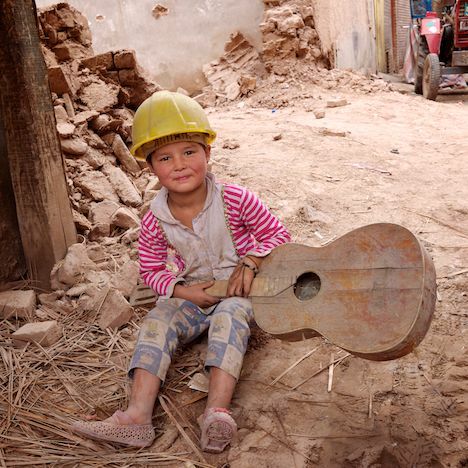 I hope so, though I fear that the character of old Kashgar will soon change irrevocably, not through necessity or war or natural disaster, but through fiat. And that would be a great pity. good to read about such untouch remote issues..many more incidents are taking place at such vernacular sites now a days..hope some heritage conservation activities will arise after reading it..the afforts to visit such area and documenting are really appriciable. How does the government manage to raze homes without any protest whatsoever? There have been similar projects done here in India that were all thwarted simply because activists ganged up with locals to prevent authorities from modernizing the place. 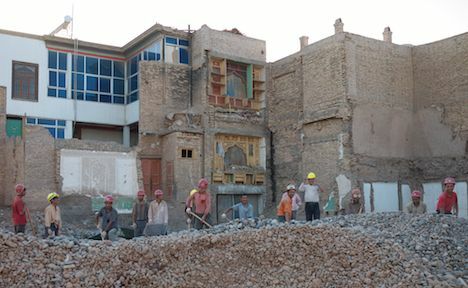 Old Kashgar’s destruction may also in part be due to central government fears of anti-Han activism. 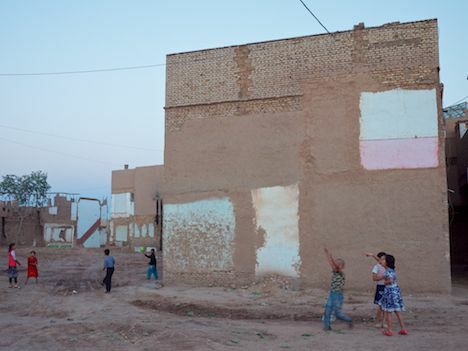 I was in Kashgar in August 2008, when there were some attacks on government troops by Uyghur separatists, leading to a crackdown and acceleration of the destruction in the old city. A friend once explained to me how India is essentially a spiritual country, and in contrast to this respect, China is (now) largely materialistic with pockets of citizens in the far western regions, who have been grappling to maintain their heritage and their beliefs. Thank you for your efforts here, although this is all depressing to see if you spent a lot of time in Kashgar in the 1990s, as I did.